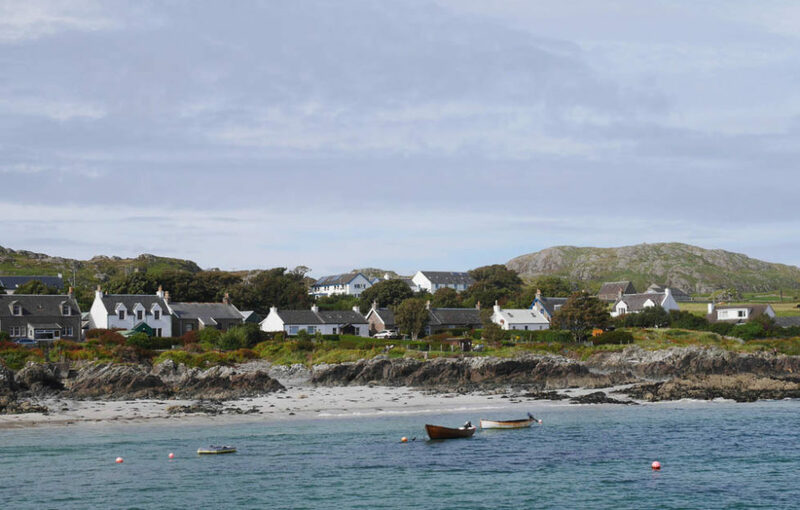 Tiny Iona is one of those places where you can feel all the magic of Scotland at once. 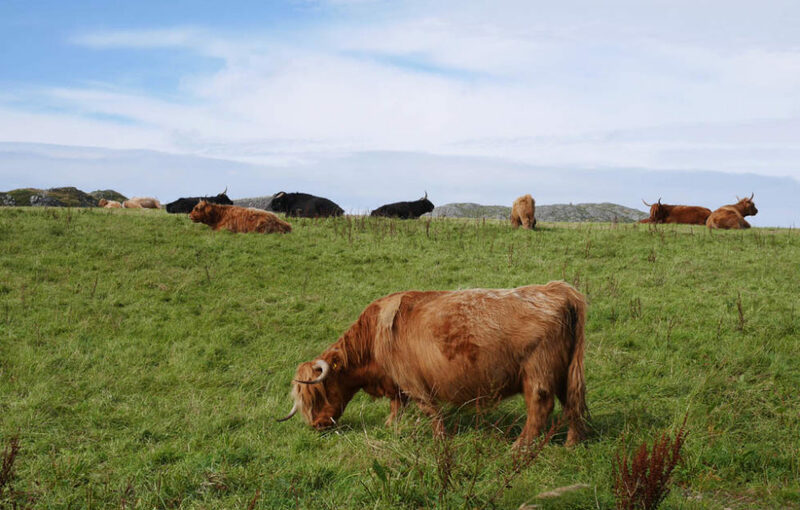 Isolated and remote, this island off the southwest coast of Mull only is only 1.5 miles wide by 3 miles long, but has everything it takes to make you fall in love. I had been wanting to visit it for years and finally got the chance recently to go with my sister. Under a blue sky and over turquoise waters, the crossing was as close to the Caribbean as it gets. And we were blessed with sunshine and the best weather to enjoy a visit to its famous abbey. 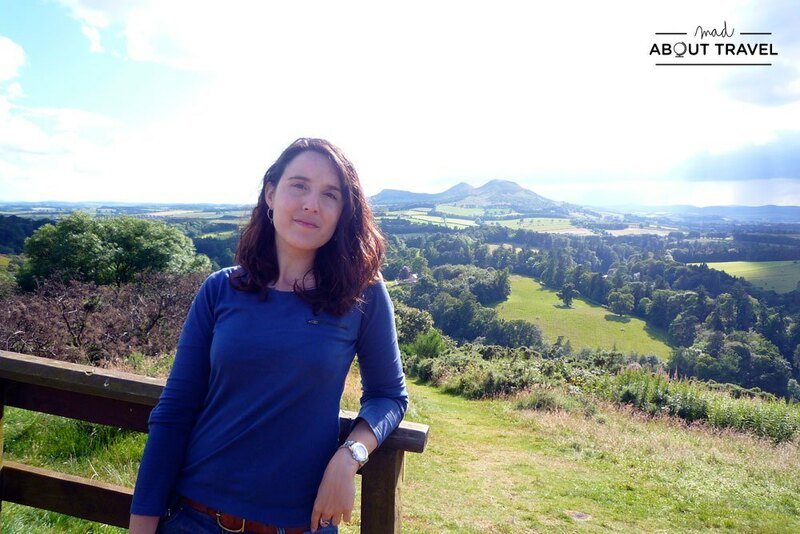 Join me and read on as I remember one of my best experiences in Scotland. Like almost everyone else, I took the ferry to Iona from Fionnphort on Mull, and was surprised by how many are there every day. The crossing is quick and exhilarating From Mull, the mystical island looks close, and as you are getting nearer and nearer, you realise how small it is and yet how amazing. 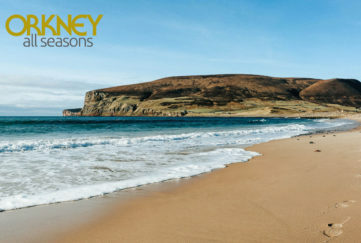 For under £4 and in less than 15 minutes you land in a place steeped in history and where nature is at its best, with plenty of silver sands beaches, low green hills and a bunch of very cute highland cows. After landing on Iona, it’s important to take a moment to appreciate your surroundings, rather than charge off to the abbey. With a few hours to explore ahead, I spent a few minutes befriending a local dog on the beach and taking in the breath-taking scenery before my eyes: the little boats waiting for high tide, the multiple shades of blue of the waters and the many greens behind and in front of me. 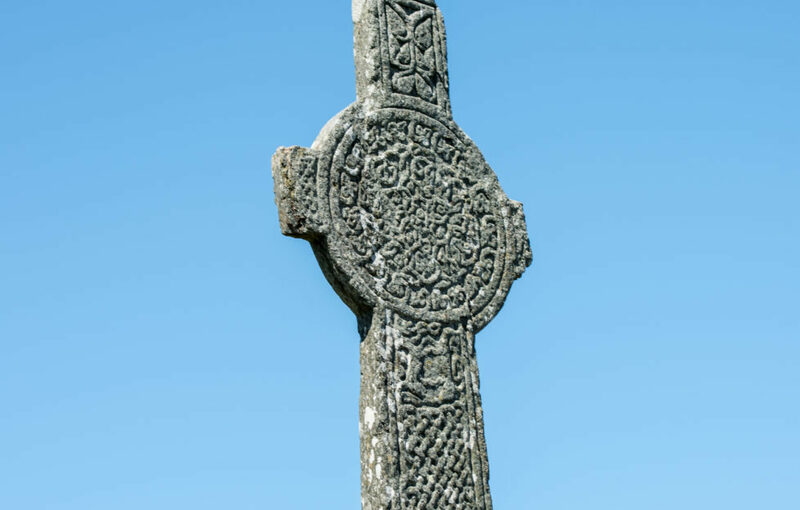 On your way to the Abbey do stop at the ruins of the small nunnery and to admire MacLean’s Cross by the road, a fine example of a Celtic Cross. I took my time on my walk to Iona Abbey, the birthplace of Celtic Christianity and the resting place of Macbeth. 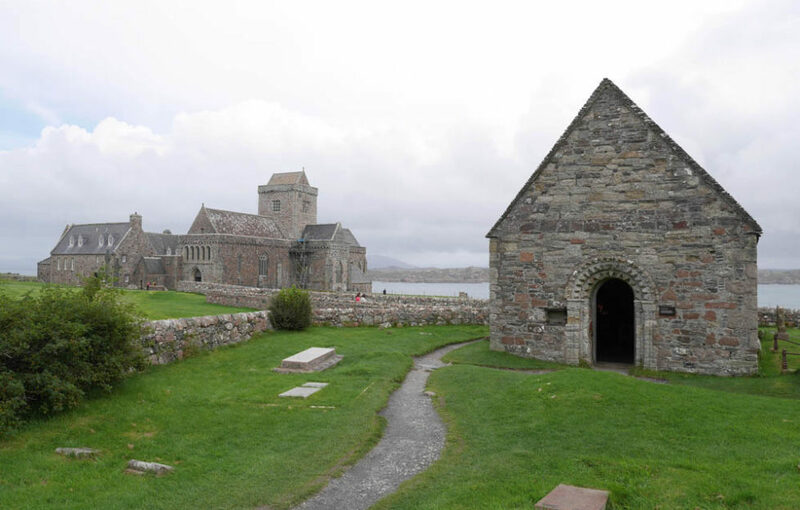 Founded first by Saint Columba in 563AD, Iona Abbey is one of the most sacred places in Scotland. 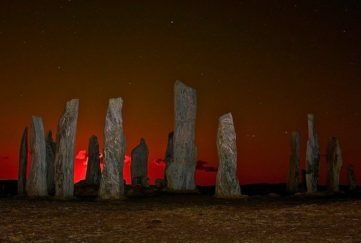 No wonder there were so many people making the pilgrimage from Mull! 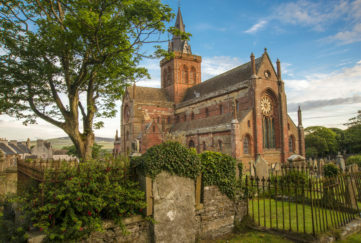 Past the crowds, we quickly came across Oran’s chapel, a very small and ancient building surrounded by a graveyard where legend has it at least 48 medieval kings are buried – including the real Macbeth, on which Shakespeare based his tormented monarch! 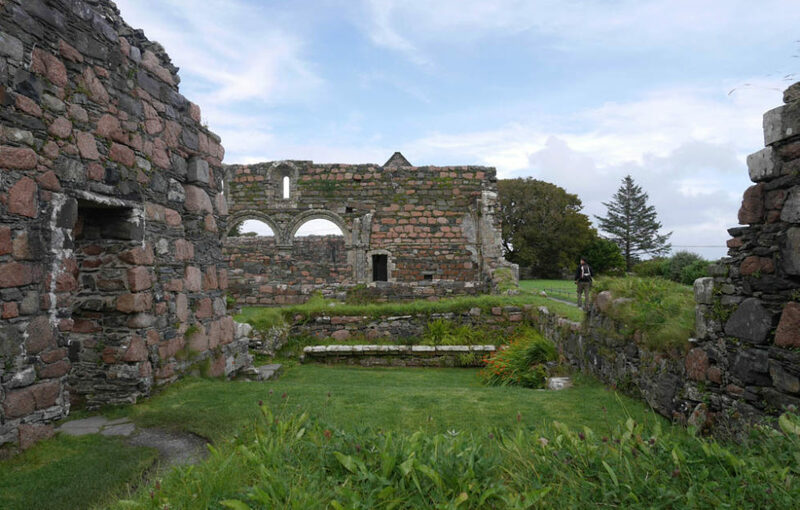 Guided tours of Iona Abbey are available and I would highly recommend taking one. 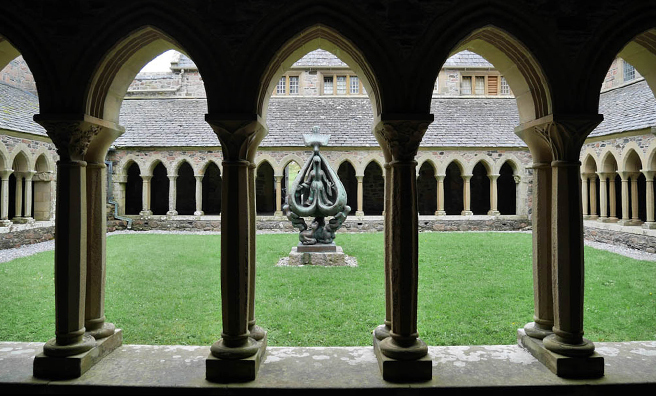 Although mostly rebuilt after being a ruin for centuries, the abbey still retains much of the mystical aura that it must have had a century ago. Take your time like I did to walk around the church and the cloister. Take it all in and breathe deeply. 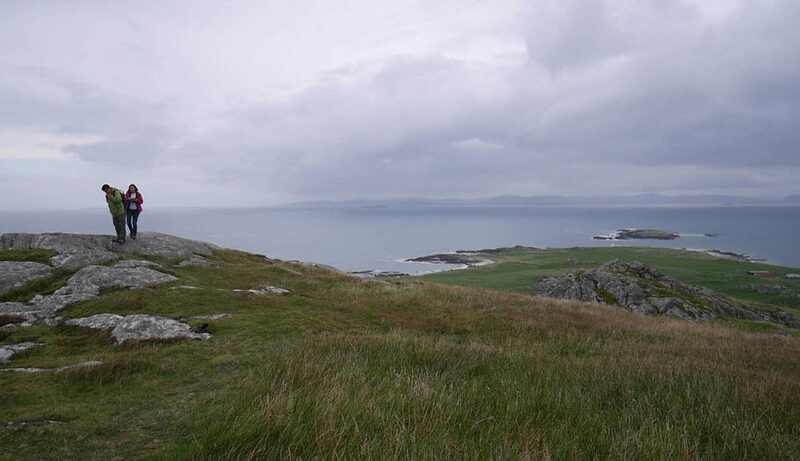 Once our visit to the abbey was over, I decided I wanted to have a better view of Iona so off we went, my sister and I, for a walk up Dùn Ì, the highest point on the island. 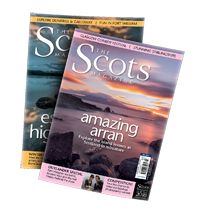 360-degree views of Mull and mainland Scotland, of smaller islands and of the vast ocean – wonderful. That is an image I will remember until I make it back to Iona. Next time, I hope to include a quick trip to Staffa and Fingal’s Cave, and fit in some hiking in Ulva.